In October 2015, the Nuclear Science Advisory Committee provided its recommendations on future priorities for the field of nuclear physics, including a long-range plan recommendation to build an EIC. Jefferson Lab is one of two Department of Energy national laboratories developing plans to host the facility. You can find more detailed information about the Electron-Ion Collider by navigating the menu on the left. 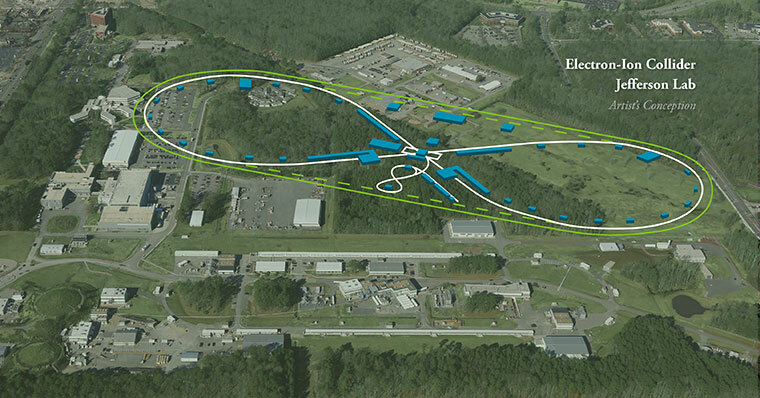 The next large nuclear physics research facility being proposed to the –DOE for construction is an Electron-Ion Collider (EIC). 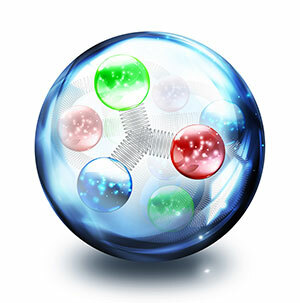 An EIC could provide unique capabilities for the study of Quantum Chromodynamics (QCD), the theory that describes how quarks and gluons build protons, neutrons and nuclei. In March 2013, NSAC ranked an EIC as “absolutely central” in its ability to contribute to world-leading science research. Two facilities, Jefferson Lab and Brookhaven National Lab in New York, are developing facility concepts.